Lent is approaching and the time to start preparing is now. 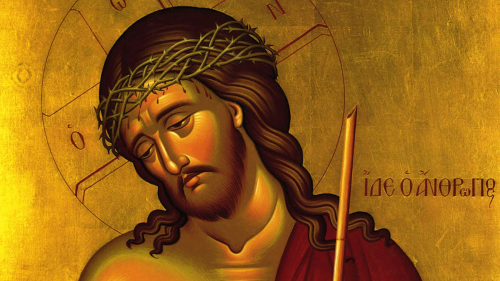 Lent takes effort, and the beginning of all effort is mental preparation, to become aware that a season is approaching the will call more from us. There is no progress without effort. To win a race we have to train. Lent is a training period, a period of learning self-discipline that enables us to orient ourselves more toward God and move closer to Him. Inward orientation and purification is critical for the Christian. He more he draws closer to God, the more God draws closer to him, and he then begins to live the life that God created him to live. There are two great commandments: 1) Love God with all you heart, soul, body, mind, and strength, and 2) Love your neighbor as yourself. Be good to your neighbor and you draw closer to God. Draw closer to God and you will become good to your neighbor. Who is our neighbor? To that question Jesus answered with the Parable of the God Samaritan. Your neighbor is anyone who has a need that only you can fulfill, the one who needs your mercy. 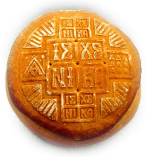 Learn How to Make Prosphora! Mary Copeland and BJ James are holding a “Learn how to make Prosphora” class on February 8 at BJ’s house on Monday, February 8 starting around 9am. BJ lives at 26086 Fawnwood Court, Bonita Springs, Florida (near the church, get map). BJ’s phone number is 239-498-1931, Mary Copeland’s number is 239-498-1331. Please call before the class so they can prepare the items that are needed. He will be attending the Sophia Conference (Society of Orthodox Philosophers) at Holy Archangels Monastery in Kandellia, Texas. He will be back for Liturgy on Sunday. Mark your calendars for Saturday, February 13 at 6:00 St. Peter’s Valentine’s Day potluck. Our potlucks are great. Everyone loves them. They are low-key affairs with great fellowship and camaraderie. Bring some friends if you like. Often we have people from other parishes attend and they are welcome. The food is always really good too! Want to know about the real St. Valentine? Read about him here. If you plan to attend please sign up on the website or mention it to Mary Jarvis on Sunday. Choir practice resumes in a few weeks. We meet at Tony’s Off Third Restaurant in downtown Naples (get map). Happiness can only be achieved by looking inward and learning to enjoy whatever life has and this requires transforming greed into gratitude. 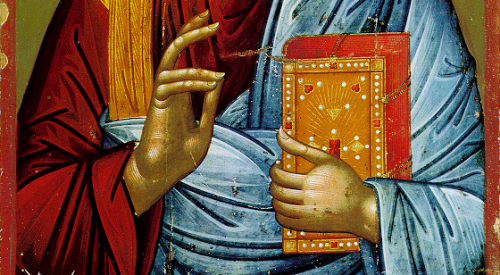 One must force himself to prayer when he has not spiritual prayer; and thus God, beholding him thus striving and compelling himself by force, in spite of an unwilling heart, gives him the true prayer of the Spirit. Whoever says that it is impossible to be saved with a wife and children is a deceiver. Abraham had a wife and children and three hundred and eighteen servants, and also much gold and silver, and he was called the friend of God! Many servants of the Church have been saved, and many lovers of the desert; many aristocrats, and many soldiers; many craftsmen, and many farm laborers. Be devout towards God and loving towards men, and you will be saved. 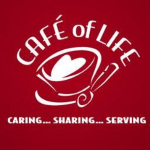 The Cafe of Life sent a thank you note to the parishioners of St. Peter’s for our help in feeding the working poor on Christmas Eve Day. They also featured St. Peter’s on the Cafe of Life website. You can view it here (under “Christmas 2015 – Joyous Time At The Cafe of Life!”. Also check out our gallery on the St. Peter’s website that has pictures from our service that day. We put no obstacle in anyone’s way, so that no fault may be found with our ministry, but as servants of God we commend ourselves in every way: through great endurance, in afflictions, hardships, calamities, beatings, imprisonments, tumults, labors, watching, hunger; by purity, knowledge, forbearance, kindness, the Holy Spirit, genuine love, truthful speech, and the power of God; with the weapons of righteousness for the right hand and for the left; in honor and dishonor, in ill repute and good repute. We are treated as impostors, and yet are true; as unknown, and yet well known; as dying, and behold we live; as punished, and yet not killed; as sorrowful, yet always rejoicing; as poor, yet making many rich; as having nothing, and yet possessing everything. The Lord spoke this parable: A man going on a journey called his servants and entrusted to them his property; to one he gave five talents, to another two, to another one, to each according to his ability. Then he went away. He who had received the five talents went at once and traded with them; and he made five talents more. So also, he who had the two talents made two talents more. But he who had received the one talent went and dug in the ground and hid his master’s money.